This one won’t have gangsters. Probably won’t have gangsters. Actually, there’s a higher probability of gangsters than anything else. 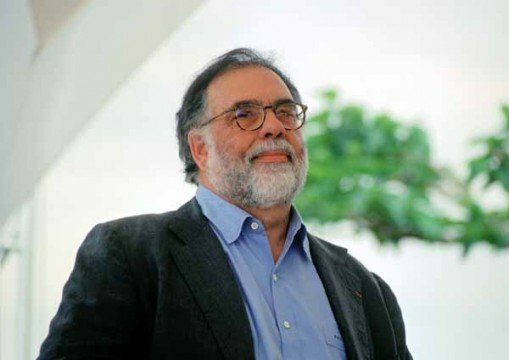 Anyways, if you’ve forgotten who Francis Ford Coppola is (other than the father of Sofia Coppola), he’s that guy that directed a few small movies under the banner of The Godfather? Yeah? OK, so we’re all on the same page. Well, he’s planning on directing another saga about an Italian-American family that will not involve Al Pacino killing people in Italian restaurants. Coppola is reportedly working on a screenplay that will play as a coming-of-age story about a boy and girl in their late teens. Paramount is providing office space, but little else, with no current plans to bankroll or distribute the movie once it gets made. If it gets made. Forgive me for being skeptical. Coppola has had a bit of tough time over the years since the 1970s. Despite some quality films, he never really hit the same kind of stride he had with films like The Godfather, Apocalypse Now!, The Conversation and The Godfather Part II. Films like Tetro and Youth Without Youth largely defy description, although they have their interesting moments. His last film Twixt, starring Val Kilmer, even failed to garner an American release. Now perhaps he’s going back to what he admittedly knows very well: the trials and tribulation of Italian-Americans. The script idea is not much to go one, yet. A coming-of-age story? How many of those have we seen? Then again: how many of those have we seen directed by Francis Ford Coppola? Whatever happens with this as-yet-untitled film, Coppola has a tendency to do whatever he does in a big way. If it’s a failure, it will be a pretty spectacular (and probably inexplicable) one. Then again, this could be Francis Ford Coppola’s return to Godfather-style brilliance. I would very much like to see that.